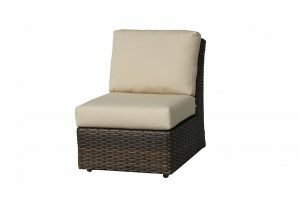 The Portfino Collection is a beautiful blend of classic colour combinations and elegant design to create the ultimate backyard relaxation retreat. The synthetic eco-friendly resin wicker provides a classic beachfront style while the aluminum frame gives the collection the support it needs to withstand years of seasonal weather. 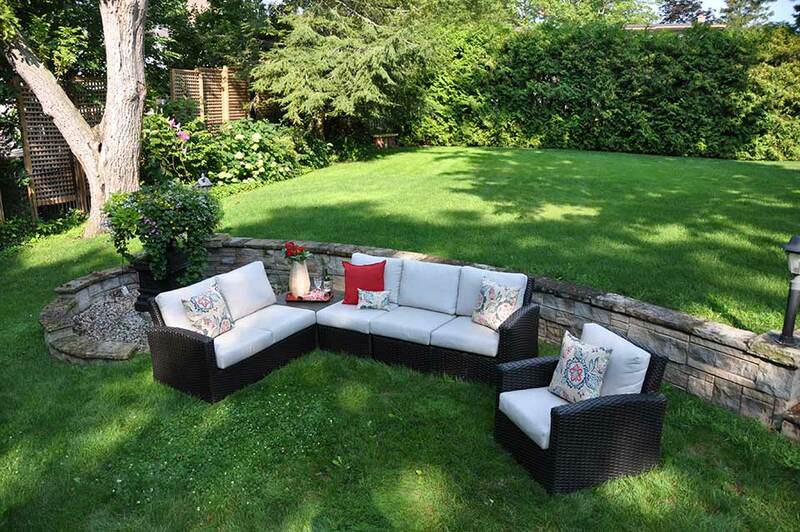 The cushions are wrapped in Sunbrella fabric that is resistant to mold, moisture and mildew, and won’t be damaged from contact with salt or chlorine water. This collection offers a beautiful modular sectional allowing you to pick and choose your favourite way to design the sofa, deep seating lounge chair, and matching coffee table. The Portfino is manufactured by Ratana Home. This sleek 32" Square Coffee Table can be used in two ways. 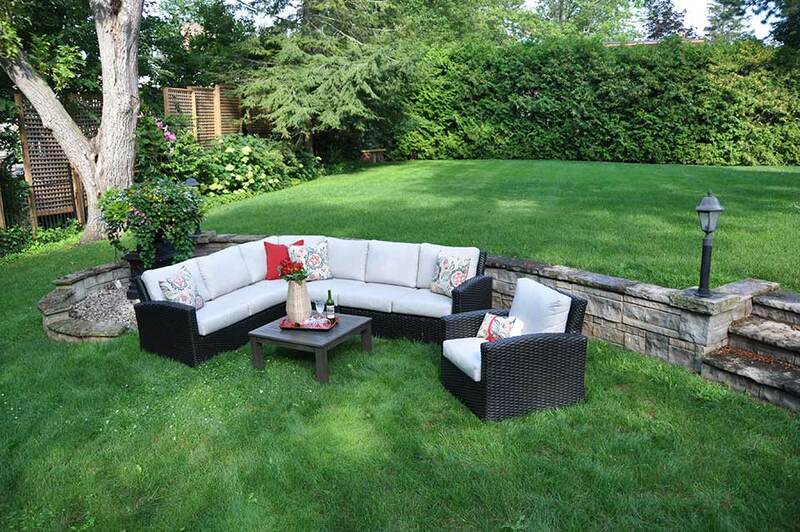 Use it as a coffee table or substitute it in the corner of the sectional as a place for snacks and drinks. Aluminum, rust-free frame. Some Assembly required. The 90 Degree Corner Section can also be substituted for the 32" square coffee table in the corner of this sectional. 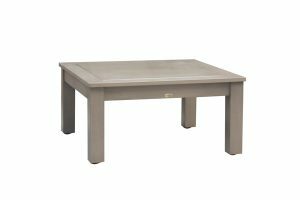 Sunbrella Cushion Echo Ash included. Onyx Wicker. 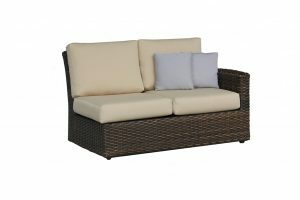 The Armless Section can be added to either side of the sectional to extend it in length. Sunbrella Echo Ash Cushion included. 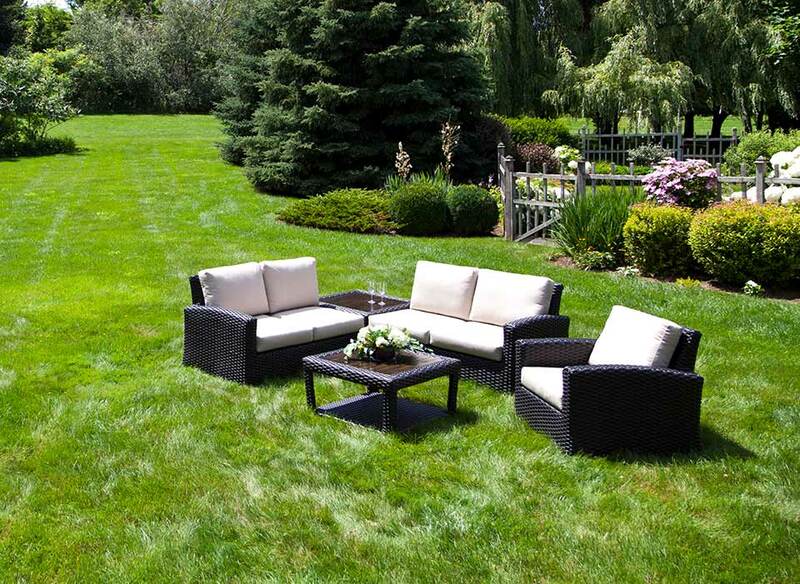 Onyx Wicker. 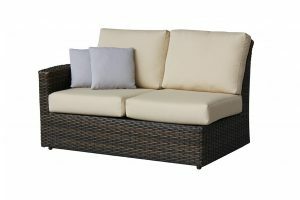 The Left Arm Loveseat Section is paired with other modular pieces in this collection to form a sectional. Sunbrella cushions echo ash included. 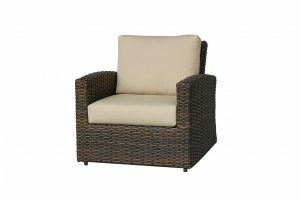 The Portfino Lounge Chair or Club chair is comfortable seating to either purchase separately around a fire table or add as extra seating to the matching sectional. Includes Echo Ash Sunbrella Cushion and Onyx wicker. 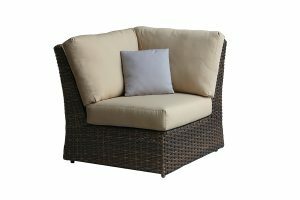 The Portfino Right Arm Loveseat Section is modular and paired with other pieces in this group to make a sectional or large sofa. Complete with Echo Ash Sunbrella cushions included and durable wicker frame.